Calaméo - To be guided, or to trailblaze? The pros and cons of a travel guide explained! To be guided, or to trailblaze? 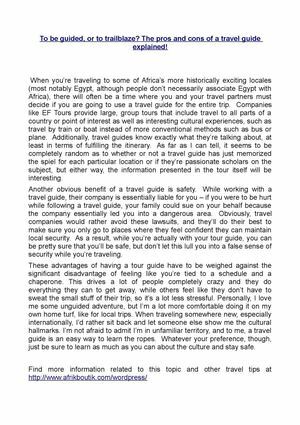 The pros and cons of a travel guide explained!